Did you know approximately 10 million households in the United States own an RV? No wonder that more people are looking for ways to enjoy the great outdoors while they help conserve the environment. Have you been contemplating getting an RV or currently own one but are worried about your environmental impact? Keep reading to learn 10 tips for an eco-friendly RV experience. RVers already love the great outdoors and are conscious about conserving it to be able to continue enjoying it in the future. 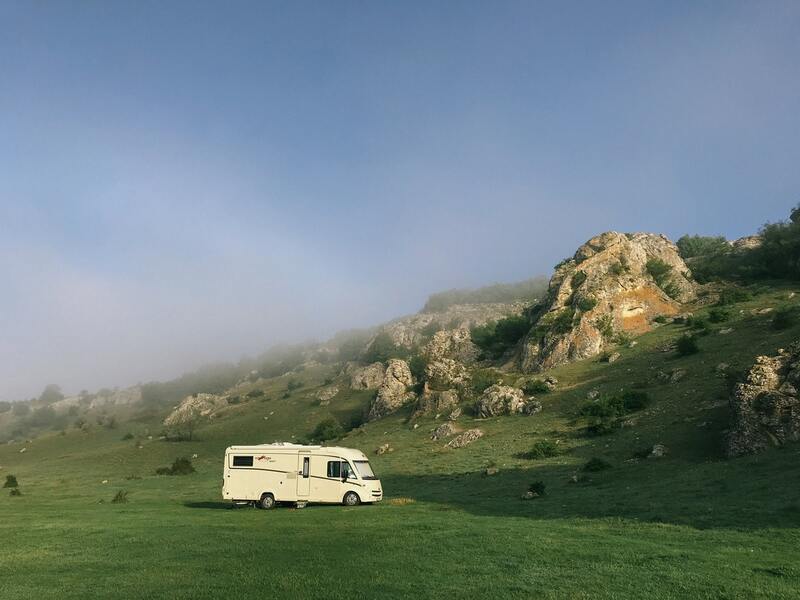 If you are still looking for your perfect RV are looking to upgrade yours make sure to shop this website to prepare for your next outdoor adventure. It never hurts to learn more ways to be eco-friendly while enjoying a getaway in the comfort of an RV. If you have already been RVing you know that you use cleaners to clean the RV inside and also to clean the grey and black tanks. The chemical cleaners that they usually sell have harmful chemicals for the environment. These chemicals pollute the soil and the water so it’s best to stay away from using them while camping. There are many eco-friendly cleaning products you can use that won’t be harmful to the environment or your health. You can make your own to clean the inside of the RV and to clean the sewer tanks. Did you know that there are lots of public lands across the country that you can camp at? These are free but they don’t have electric, water, or sewer hookups. This helps you be more eco-friendly because you’re not wasting unnecessary electricity by having power running all day whether you’re in your RV or out enjoying the day. You can challenge yourself to go as long as possible without turning on the generator (if this is what you’re using for power). You will also be more mindful of your water consumption because you will have limited water in your tanks. Most people like to pack disposable plates, cups, and forks because it makes for an easier clean up but this isn’t eco-friendly. Buy a set of real dishes that you can reuse while you’re RVing. Check if your campground or where you’re staying has a recycle station and help contribute to taking care of the environment this way. Anytime you see an opportunity to reuse something like a sandwich bag or a piece of aluminum foil go ahead and do it before throwing things away. Who doesn’t love camping without a campfire to roast marshmallows or share stories? It’s one of the first things that comes to mind when we think of camping but they release toxins and ash. Having fewer campfires and smaller bonfires will contribute to having less impact on the environment. Try to have campfires in situations like trying to stay warm or once during your stay if you’re craving the smell of a campfire near your RV. If you’re towing a car behind your RV or towing your RV with a truck or SUV aim for one that’s eco-friendly. Even trucks nowadays have eco-friendly options to pass emissions tests. Manufacturers are becoming more aware of making fuel-efficient cars and trucks. You also have the option of buying a car that can be charged electrically instead of consuming gas and polluting the air if you are pulling a car behind your RV. Cutting back on using utilities such as the AC or furnace will help save the environment. During the summer months try to park in a more shaded area to avoid needing the AV as much. During the winter park where you can have more sun to stay warmer. If you have an older model refrigerator in your RV you might want to upgrade it because you will cut back on energy consumption. If you go out for the day to explore the area be conscious about not leaving everything running and televisions on because it’s a waste of precious electricity for no reason. There are many water filters for RVs available and investing in a good one will be great for the environment. This means that you don’t have to keep buying plastic water bottles that end up in the garbage when you’re done. Have a reusable water bottle instead that you can refill after installing your water filter system. There are a few adjustments you can do to be more eco-friendly when driving your RV. Inflate your tires to the right amount of air they need to improve your gas mileage. If your RV or tow truck requires diesel full up with bio-diesel instead of regular diesel. Only pack what you need there’s no need for extra weight, wasting more fuel and polluting the environment more. There are kitchen and bathroom aerators that you can buy that are more eco-friendly. Look for options that are under 2.5 gallons per minute. This will help conserve water whether you’re camping on free land or at a campground. Invest in either a full solar setup if you use your RV a lot or buy a small portable one to power up your electronics. If you are planning on doing more free camping then a full setup will be the best way to go to not release generator fumes into mother nature. Traveling in your RV is one of the most eco-friendly ways you can vacation. Setting up an eco-friendly RV will help you make an impact on the environment. All of the simple tips above will help preserve the great outdoors and wildlife that you enjoy for generations to come. Looking for more eco-friendly ideas while enjoying the outdoors? Check out our Outdoor Life section on our blog.